Lexsynergy has reduced the cost for all standard .ie domains by 65%. Effective immediately, .ie registrations, renewals and transfers are £35 / $59.50 / €52.50 / R875 per year. 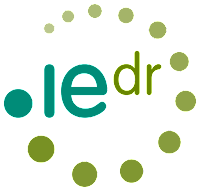 IEDR (the .ie registry) recently announced that Internationalized Domain Names (IDNs) with the fada characters will become available within .ie starting 23 August 2016. The launch process will begin with a Sunrise phase for trademark owners which will run for 30 days until 21 September 2016. A Landrush phase will run from 3 October 2016 until 2 November 2016. This phase is reserved for registrants who currently hold domains in the Irish language e.g. fogra.ie, but which are missing the correct inclusion of the fada characters on any vowels. During the Landrush phase, these registrants will be able to apply for the correct IDN equivalent e.g. fógra.ie. All IDNs that have not been registered during the Sunrise or Landrush phase will be available to register on a first come, first served basis beginning 16 November 2016. Gaelic IDNs are not included in this launch. IEDR has proposed a policy which would allow a registrant to sell their domain via their original registrar, providing the buyer meets the .ie ownership criteria—namely, having a provable connection to Ireland. The consultation is open until 16 August and following this IEDR will outline a final model. More information is available from their website at iedr.ie. The registry also recently announced there were 35,225 new .ie registrations in 2015, an increase of 13.4 percent when compared to 2014, in their 2015 annual report. Email us at support@lexsynergy.com if you have any questions or are interested in registering domains within this important extension.